Jake Brooks is one of those players who rarely leaves the field. He’s a punishing running back and a bruising linebacker for the Haskell Harmony Grove Cardinals. 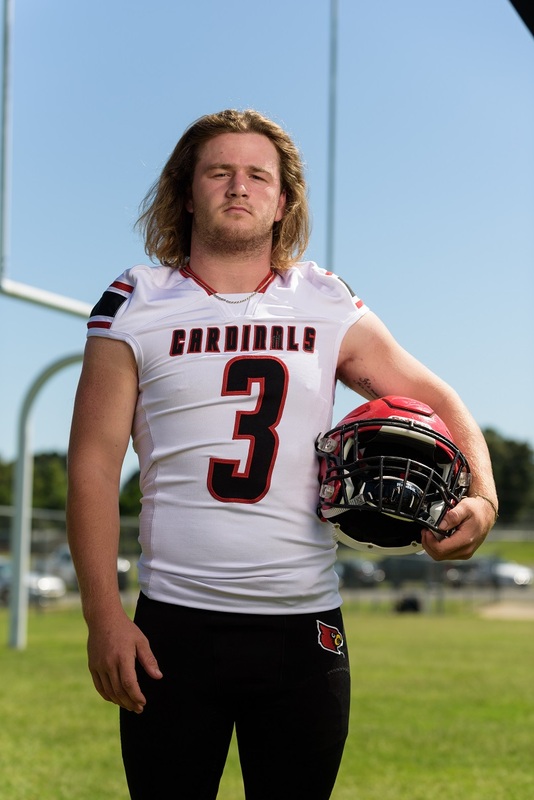 The senior has helped lead the Cardinals (3-1, 1-0) to a hot start, proving wrong the doubters who thought the move to 4A would be too much for Haskell Harmony Grove. “Jake has an instinct and passion for the game,” said Mike Guthrie, who nominated Brooks to be part of this year’s 501 Football Team — 28 players representing all 11 counties of the 501. The team, sponsored by Conway Ortho and Sports Medicine, Conway Regional Health System and First Security Bank, boasts the best the 501 has to offer both on and off the field. Through four games, Brooks leads the Cardinals in rushing with 315 yards and four scores. The senior had his best game of the year just last week with a 116-yard rushing performance against Ashdown in the Cardinals’ 7-4A opener. Brooks also leads the Cardinals in tackles (34). He’s well on his way to achieving his two personal goals for the year. “I want to hit 1,000 rushing yards and 120 tackles,” Brooks said. A year ago, Brooks rushed for 901 yards and 14 touchdowns and racked up 105 tackles and two interceptions. The Cardinals finished 8-4, reaching the second round of the 3A playoffs. Brooks, like all seniors, is hungry for more in his final season. Brooks is called to carry a heavy load for the Cardinals each week — both in producing on the field and leading the Cardinals off the field. “Jake is a leader with both his actions and vocally,” Guthrie said. “We expect him to lead us in tackles and rushing every week. He displays a great work ethic and respects his opponents. This week, Brooks and the Cardinals aim to keep rolling on both sides of the ball as Malvern (0-4, 0-1) comes to town Friday at 7 p.m.